A fun and light hearted St. Patrick's Day card. 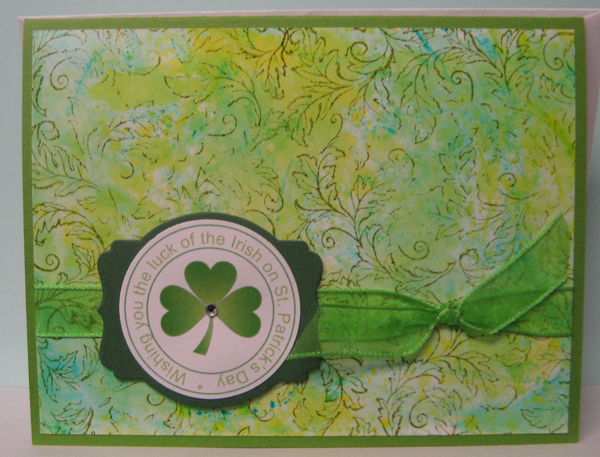 I often have to work on getting out of my comfort zone in my card making so I went with a fun inked background which I created with used ink cartridges from our inkjet printer and glossy photo paper. It was a blast to make these papers! You can check out the fun here.